Employment enhancing vocation skills: ‘Parivartan’ training program for retailers: ‘Parivartan’ training program conducted by CCIPL for retailers (including women retailers), aimed at and focused on enhancing vocation skills. Promotion of Education: ‘Support My School’ (“SMS”) campaign, aimed at revitalizing schools by providing them with adequate sanitation and basic amenities like toilets and other facilities, especially for the girl child. Better Waste Management System: ”Doh Bin” - aimed at sensitizing residents and increasing their involvement to bring about a better waste management system through the simple act of segregating wet and dry waste in homes, offices, etc. Lake Rejuvenation Project- Gurgaon: In line with CCIPL’s commitment to strengthen community engagement and development around its Corporate Office in Gurgaon, a six month project is being implemented from June 2016 onwards towards water rejuvenation in the Sukhrali Lake in Gurgaon. Pilot Project to test Reverse Vending Machines: To achieve long term environmental sustainability by educating and encouraging people to be environmentally responsible in the handling of post consumption PET products by rewarding and incentivizing positive behavior. Multi Stakeholder Project on Water: Owing to the centrality of water to the country and to CCIPL, CCIPL proposes to take a leadership position in the water sector at the national level and contribute to the larger solutions the country is facing on addressing water availability, access, quality and affordability of water. Multi Stakeholder Programme on Livelihood Enhancement: In line with the emerging importance of PET recycling in the light of the “Swaach Bharat Abhiyan” and “Clean India campaign” launched by the Tourism Ministry, Government of India and the key role that is played by the informal sector in collection of recyclable waste, CCIPL has decided to design a scalable program on waste management. CSR initiative of CCIPL in the community around its concentrate plant in Pune: CCIPL proposes to initiate a substantial CSR initiative in the immediate community of its concentrate plant at Pune, which is also its Registered Office. Other Projects /Programmes /Activities: Apart from the above, the CSR Committee will also identify other projects /Programmes /activities which it finds suitable for implementation by CCIPL during the financial year 2016-17. Coca-Cola India Foundation: CCIPL had set up a `not for profit Company’ wholly owned subsidiary under section 25 of Companies Act, 1956 namely; Coca-Cola India Foundation (“the Foundation”) in 2008. The Foundation’s focus areas include watershed management protection and development, purification of riverine systems, creation of integrated water bodies, restoration of old water bodies, rural electrification through solar energy and other similar areas. CCIPL has been making donations to the Foundation from the financial year 2009-10. The Foundation has been implementing projects in various States in India and will continue to undertake new projects to promote replenishment of ground water and rural electrification through solar energy. Apart from implementing projects on its own, out of donations made by CCIPL, the Foundation has simultaneously been facilitating grants from The Coca-Cola Foundation- Atlanta, directly, to various NGO’s in India working on community development projects to help them meet their need for funds for implementation of various community development projects. Anandana had decided that water sustainability and the empowerment of women through use of innovative programs like the spread of solar energy need to be at the core of its programs and and has been funding projects related thereto. The beneficiaries constitute the marginalized communities in the backward, predominantly rural and in some cases, the tribal areas of the country. The vast majority of the villagers are among the poorest, the neediest and the socially deprived and the action of the Foundation is, therefore, at the most deserving level of social intervention. Water operations in the communities at large are carried out by the Foundation providing financial support to reputed NGOs working with local villagers and beneficiary groups to create viable water augmentation projects in severely stressed areas. After studying alternatives, the Foundation opted for the watershed conservation and development approach as the most suitable for India’s water replenishment needs. The second area of operation of the Foundation is in empowering women through the use and promotion of solar energy. This is the surest means to raise overall social living standards in rural India. There are many parts of India that are bereft or woefully short of electricity or other sources of energy and where the daily life of people ends when the sun goes down. As part of this program the Foundation has been lighting non- electrified households in the backward districts of India still not connected through grid through solar lanterns and solar systems assembled, maintained and repaired by women specially trained on this job. This helps women earn a decent livelihood, increased time for household and leisure activities, savings from use of kerosene/ other household fuel, reduced indoor air pollution and overall improvement in standards of living. In all such remote places the quality of life of the poor is vastly improved through the provision of energy through solar lanterns and unitary solar systems. Water conservation Project in 3 districts of Rajasthan in partnership with PHD Rural Development Foundation at a cost of Rs. 119.25 Lakhs. A proposal to implement a water conservation project in two villages of Mahisagar district of Gujarat at a cost of Rs. 112.41 lakhs to benefit over 6,000 people. On completion of review and due diligence and after considering all aspects of the Project, a decision is taken by the Board of Directors of the Foundation as to which of these projects will be funded by it and which of these will be referred by it to The Coca-Cola Foundation, Atlanta, for funding. 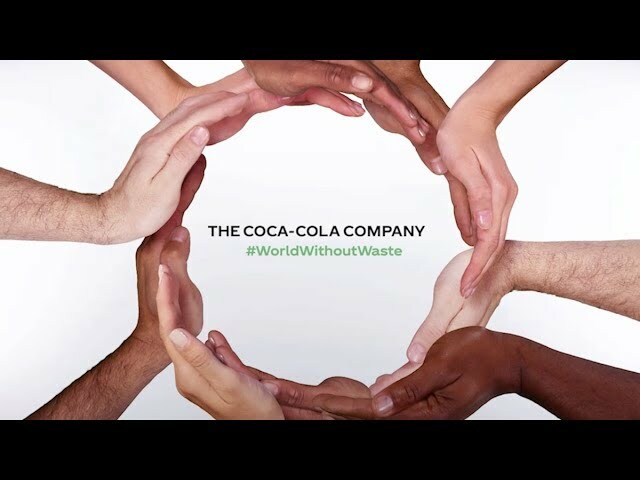 The Coca-Cola Foundation, Atlanta, which was set up by The Coca-Cola Company, USA, has been supporting several CSR Projects recommended to it by the Foundation, by directly funding the concerned NGO in India. The Company intends to make a donation of Rs. 800 Lakhs to the Foundation for the financial year 2016-17 in order to pursue its charitable activities. In addition, the Foundation proposes to refer projects worth around Rs.1350 lakhs (US$ 2.0 Million) to The Coca-Cola Foundation, Atlanta, for direct funding to the NGOs, after successful completion of project evaluation by it. ‘VEER’: A Campaign aimed at reaching out to the differently abled people across India and giving them a voice and an opportunity to fulfill their own ambition: In its long term approach of building awareness for the differently abled people and promoting employment opportunities for them, CCIPL had as a part of its CSR initiatives launched the ‘VEER’ campaign on India’s Republic Day; 26th January 2014. CCIPL launched this campaign in partnership with TV 18 Broad Cast Limited and “Being Human Foundation” (which is promoted by Bollywood star, Salman Khan) along with the American India Foundation (“AIF”) on CNN IBN. The ‘VEER’ campaign is focused on unleashing the potential of differently abled people in India. The campaign ‘VEER’ shares its core philosophy with CCIPL, which believes that everyone has the potential and we just need to unleash it. There are several such VEERs in India, who have achieved unparalleled success in their endeavor through a combination of hard work and application of their abilities to the best possible extent. These VEERs continue to inspire and motivate all Indians and CCIPL celebrates them by giving them their due recognition. Through this campaign, CCIPL wants to reach out to the differently abled people across India and give them a voice and an opportunity to fulfill their own ambition to the best of their ability. Work with NGOs to provide training to people with disabilities to make them employable. It will be achieved through direct donation by CCIPL to the NGO American India Foundation towards core funds for training and also through encouraging donations from others into the funds. along as they form a big part of the society. This Campaign, VEER, is working towards ideals outlined by Skill India and in its own unique way of Communicating, not only asking people to change their lens but also through actions on ground making change happen for thousands’ of these differently abled. During the financial year 2016-17, CCIPL is planning to spend a sum of Rs. 136.00 lakhs (same as in the financial year 2015-16) on the campaign. It plans to pay a sum of Rs. 106 lakhs to TV18 Broadcast Limited as “Lead Partner” for the campaign broadcast across CNN-IBN and IBN7 channels. In addition, it is also planning to donate a sum of Rs. 30 lakhs to the American India Foundation towards training of differently abled people. Vocation skills: ‘Parivartan’ training program for retailers: This business skills capability program started by CCIPL in 2007 is led by the capability development center of CCIPL, namely; Coca-Cola University. Training under this program is aimed at improving use by retailers (traditional kirana store owners) of all their resources, through better handling of finances, stocks, customers and merchandising, which will ultimately lead to improving their livelihood, in the evolving large retail format scenario in India. All training programs are absolutely free of cost to the retailers. Apart from classroom training which is typically conducted in cities, training module is also delivered through CCIPL’s customized learning buses in rural and semi-urban areas, which enables CCIPL to reach out to the retailers in far flung areas where classroom facilities may not be available. The ‘Mission’ of CCIPL through this program is to equip traditional retailers with the skills, tools and techniques to meet consumer expectations created by these demands. The traditional ‘mom and pop’ shops which constitute around 95 per cent of India’s grocery retail market are experiencing challenging times in evolving modern organized retail scenario. As a responsible corporate and a long standing partner to them, CCIPL believes that ensuring their success is as important as the success of modern retail chains. The two hour program is conducted in multiple vernacular languages. In addition to the classroom training, training module is also delivered through CCIPL’s customized learning buses in rural and semi-urban areas, which enables CCIPL to reach out to retailers in far flung areas where classroom facilities may not be available. Training under this program which was started by CCIPL in 2007 was initially provided to men retailers. In India, women entrepreneurs face barriers due to lack of business knowledge and access to finance and/or assets. Hence, as part of CCIPL’s focus to drive women’s empowerment through entrepreneurship for inclusive growth in the year 2011, this Programme was customized and extended to women retailers as well. Enhancing economic opportunities for women will result in increased incomes, enhanced skills in business, increased stature within the community and improved potential for communities. These trainings are led by ‘Certified Trainers’ of the capability development center of CCIPL, Coca-Cola University. Promotion of Education- “Support My School” Programme: Several studies have shown that inadequate sanitation and basic amenities in schools has a huge impact on children. Absenteeism, drop outs are accelerated because of lack of a healthy and active environment, especially amongst girl child. The Honourable Prime Minister of India, Mr. Narendra Modi, is spearheading a drive to build separate toilets for boys and girls in schools and has called out everyone to join the mission. Prime Minister’s laudable vision is now visible through a mass campaign on air with leading Bollywood actress Ms. Vidya Balan encouraging community as a whole to build toilets, especially for women and also the ‘Swacch Bharat, Swacch Vidyalaya’ initiative on ground. CCIPL through its ‘Support My School’ (“SMS”) campaign aims to do its bit in promoting the same agenda and backing the Prime Minister’s vision. CCIPL in partnership with NDTV had launched a mass media campaign to bring further focus on this issue including finding solutions to the answers. The campaign has showcased issues and impact of healthy and active schools, which have sanitation and access to water across India. The approach has been to identify issues at broader level and solutions at local level to bring about stakeholders on board and debate the same. The SMS Campaign has offered voice and platform to several leaders in this space and helped them communicate their point of view, which is consistent with need and roles for healthy active schools across India. The campaign has also celebrated stakeholders such as principals, NGOs, teachers, students amongst others, who have contributed to the cause. One of the pillars of the campaign is fundraising, which ultimately help in revitalization of schools. In a small yet unique way this campaign has been able to seek support from several hundreds of well-meaning individuals and corporates who have contributed towards access to water and sanitation in schools. Several leading figures including government leaders have lauded the efforts of all those who are associated with this unique campaign. Through the efforts of everyone involved, nearly 597 schools have been revitalized till March 31, 2016 across more than 25 states from the year 2011. The total number of children benefitted positively is 2,40,000. CCIPL’s plan is to reach 1000 schools under the campaign. Work in remaining schools is in progress. This mass media campaign has made millions sit up and take notice of the issue and also offered them an opportunity to join. In order to ensure maintenance and sustainability of the SMS schools revitalized under the campaign a sum of Rs. 71 Lakhs is estimated to be spent for the financial year 2016-17 towards maintenance of a total of 142 schools renovated earlier under the campaign. Donation made by the Company under the ‘Employee Volunteering Policy’: CCIPL has promoted an Employee Volunteering Policy (“EV Policy”) in alignment with the “ME, WE and WORLD” sustainability framework and the “Refresh 2020” goals through which it encourages its employees to volunteer their time as individuals OR as a department OR as a group (of any size), towards a variety of community involvement initiatives and opportunities offered by CCIPL. CCIPL has tied -up with a reputed NGO to drive CCIPL’s initiatives on this front. The EV Policy facilitates, systematization and quantification of engagement of the employees’ with CSR and social initiatives both within and outside CCIPL. There are three ways in which employees may volunteer under the Policy. Under the first one, an employee dedicates one day every calendar quarter for volunteering initiatives. The initiatives will be chosen from amongst several of company’s CSR initiatives. Under the second, any employee can choose to volunteer for a cause of his/her choice and CCIPL will support this endeavor through the option of a day’s paid leave in a year. Finally, CCIPL has also encouraged donations by employees to charitable organizations. CCIPL will do an equal match to the contributions made by the employees, up to a maximum of Rs. 60,000 per annum, per employee as per the list of beneficiary organizations decided and announced by CCIPL. The expenditure to be incurred by CCIPL in matching the total contribution to be made by all employees will be treated as a “donation” under the Companies Act, 2013. The Scheme was introduced towards the end of the financial year 2014-15. In the financial year 2015-16, the Board of Directors had approved a donation of Rs. 33 Lakhs subject to an actual equal contribution to be made by the employees. However, the actual donation made by CCIPL in 2015-16 was Rs. 15.13 Lakhs, in matching the contribution made by the employees plus the administrative charges paid to Give India. CCIPL intends to continue the Programme in the current financial year too on the same lines as mentioned above and has budgeted an amount of Rs. 33 Lakhs for this initiative, as in the previous financial year. PET re-cycling: In addition, separately, with a view to educate employees on the importance of recycling and also embed the culture of PET recycling, CCIPL proposes to organize an “India Recycles Day” in November 2016. An activation will be conducted along with lines of the MIT (Market Impact Team) initiative of CCIPL, where CCIPL plans to include its customers and their employees to spread awareness in the market. It also plans to place dustbins and help in the picking of PET. CCIPL is proposing to tie up with a recycler to ensure the PET collected is recycled. CCIPL plans to spend a sum of Rs. 50 Lakhs towards this initiative during the financial year 2016-17. Protection of flora and fauna at the Aravali Bio Diversity Park, Gurgaon: The Aravali Bio-diversity Park in Gurgaon is spread over an area of 350 acres. It was once a dumping ground for waste until an NGO, ‘I AM GURGAON’ (“IAG”) in collaboration with Municipal Corporation of Gurgaon converted this area into a dedicated repository for the original flora and fauna of the Aravalis, and named it “Aravali Bio-diversity Park”. CCIPL has been supporting this initiative since 2011, and the contributions have gone towards the setting up of a nursery of indigenous plant species called ‘The Coca-Cola Vanaja Nursery’. This initiative has provided CCIPL with an opportunity to contribute to the environmental wellbeing of Gurgaon, the region with which CCIPL has been associated for more than two decades. Through this nursery, a total of 130,000 saplings have already been planted in the Biodiversity Park. It began with bringing back 50 rare Aravali species in 2011 and at present the forest has become a home for 130 such species. With a funding by CCIPL of Rs. 13.50 Lakhs (approx.) during the financial year 2016-17, the proposal is to raise another 50,000 saplings in the nursery. CCIPL’s initiative on better waste management system - Doh- Bin : In line with CCIPL’s strategic focus on recycling and evincing good models on Waste Management, particularly PET, a three year project will be implemented in Gurgaon City in partnership with GIZ, Tetra Pak and NGO Saahas. The project will also provide insights into how environmental awareness on waste segregation and handling, waste management and recycling could be strategized in partnership with local governments, business establishments, citizens and civil society. Additionally, the segregation and collection of waste at source in Gurgaon is enhanced. At least 2 policy recommendations are available for adoption by residential associations and in the municipal plans. Component 1: Enhanced awareness of RWAs and other points of consumption on source segregation;Component 2: Implementation of Source Segregation in RWAs and other points of consumption;Component 3: Strengthened capacities of waste pickers for handling segregated packaging waste and improve recovery; Component 4: Municipal decision makers are enabled to make decisions on the basis of policy recommendations on source segregation and resource recovery; Component 5: A guiding -steering structure will be established for monitoring and evaluation and capture learnings from this project. The total budgeted contribution from CCIPL will be Rs. 25 Lakhs during the financial year 2016-17. Sukhrali Lake Rejuvenation Project, Gurgaon: In line with CCIPL’s commitment to strengthen community engagement and development around its Corporate Office in Gurgaon, a six month project is being implemented from June 2016 towards water rejuvenation in the Sukhrali Lake in Gurgaon. The lake forms an integral part of the community eco-system in Sakhalin village and has depleted in its recharge potential due to vagaries of unplanned city expansion, weather conditions, and unplanned/unchecked discharge of waste. The project will entail community mobilization and technical activities and benefit approximately 30,000 residents of Sakhalin Village. Engagement of PRI, women and children and hand over of asset to community for maintenance. The total budget for the project is INR 14. 51 Lakhs all of which will be expended during the financial year 2016-17. Pilot Project to test “Reverse Vending Machines”: With the view that long term environmental sustainability is achieved best by educating and encouraging people to be environmentally responsible in the handling of post consumption PET products by rewarding and incentivizing positive behavior, Segregating PET at source so that is does not end up in landfills and facilitating reuse by recycling of PET products so as to reduce the environmental footprint. To this extent an innovative pilot will be implemented to test the functionality, consumer behavior, user interface and efficacy of placing reverse vending machines in select locations in NCR In partnership with Green Earth Movement (“GEM”). In all, 10 machines will be placed at varied locations like malls, schools, residential societies, temples etc. The RVM machines will be uniquely designed to accept empty PET bottles, which will be crushed inside the machines and the chips collected and transported to a recycling facility for conversion to various recyclable products like T- shirts, Bags, etc. The placement of RVMs will be accompanied by awareness campaigns, small incentives and rewards and a robust MIS system that will monitor the machine operations, logistics and customer feedback. The pilot will be implemented over a 3 month period and will feed into CCIPL’s learning process and sections of cost effective engaging models on promoting recycling. Based on the results, CCIPL will explore possibilities of tying this in to the Government’s Clean India Campaign for placement in tourist and religious spots. The total budget for the Pilot Project is Rs. 28 Lakhs. Multi- Stakeholder Project on Water: Owing to the centrality of water to the country and to CCIPL, CCIPL proposes to take a leadership position in the water sector at the national level and contribute to the larger solutions the country is facing on addressing water availability, access, quality and affordability of water. In line with this, a multi stakeholder macro level program with a golden triangle approach is being planned to contribute to solutions in the water Sector in India. At this stage, strategic discussions are taking place and broad concepts are being reviewed on areas of creating a think tank, center of excellence on water and agriculture, partnerships with local and International civil society organizations to create a long term plan to work on select issues in the water sector. The roll out of the project is envisaged from the fourth quarter of the financial year 2016-17. An amount of Rs. 100 Lakhs is projected towards this multi stakeholder project. Multi Stakeholder Programme on Livelihood Enhancement: In line with the emerging importance of PET recycling in the light of the Swaach Bharat Abhiyan and Clean India campaign launched by the Tourism Ministry, Government of India and the key role that is played by the informal sector in collection of recyclable waste, CCIPL decided to design a scalable program with a multi stakeholder approach that evinces a model of waste segregation at source, institutional mechanisms that facilitate segregated waste is processed in the right manner including backward and forward linkages with industries that use processed waste, linkages with recyclers and engagement with social enterprises and NGOs that can organize waste pickers and ensure their occupational health, fair payment of services and recognition of their role in the recycling value chain. Currently a mapping of different models on livelihood Program is being carried out, internal discussions are taking place on the type and scale of partnership in this area. The Program is planned for roll out in the third quarter of the financial year 2016-17. Around Rs.100 Lakhs is the projected expenditure towards this initiative. CSR initiative of CCIPL in the community around its concentrate plant in Pune: CCIPL proposes to initiate a substantial CSR initiative in the immediate community of its concentrate plant at Pune, which is also its Registered Office, based on a need assessment study of the community needs in and around Pirangut village in Pune district. The projects would be centered on water and recycling aimed at creating a substantial impact in the community. This project is expected to involve an expenditure of Rs. 50 Lakhs. Impact of all of the above: The activities listed above are expected to result in a CSR spend of around Rs. 1,476 lakhs during the financial year 2016-17. In addition, Coca-Cola India Foundation is planning to arrange direct funding to NGOs of around Rs.1350 Lakhs (USD 2.0 Million) by The Coca-Cola Foundation, Atlanta, for implementation of various community projects during the financial year 2016-17. Separately, CCIPL is also planning to arrange direct funding to NGOs of around Rs.1350 Lakhs (USD 2.0 Million) by The Coca-Cola Foundation, Atlanta by referring a few CSR projects to it for direct funding to the NGO’s in India for implementation of various community projects during the financial year 2016-17, as it has been doing in the past financial years. All the above activities are expected to result in an overall spend of Rs.4176 Lakhs, directly and indirectly by CCIPL towards CSR activities in India.